See sample pages of http://winkbooks.net/post/135373865141/collecting-childrens-books-a-guide-for-the-book at Wink. 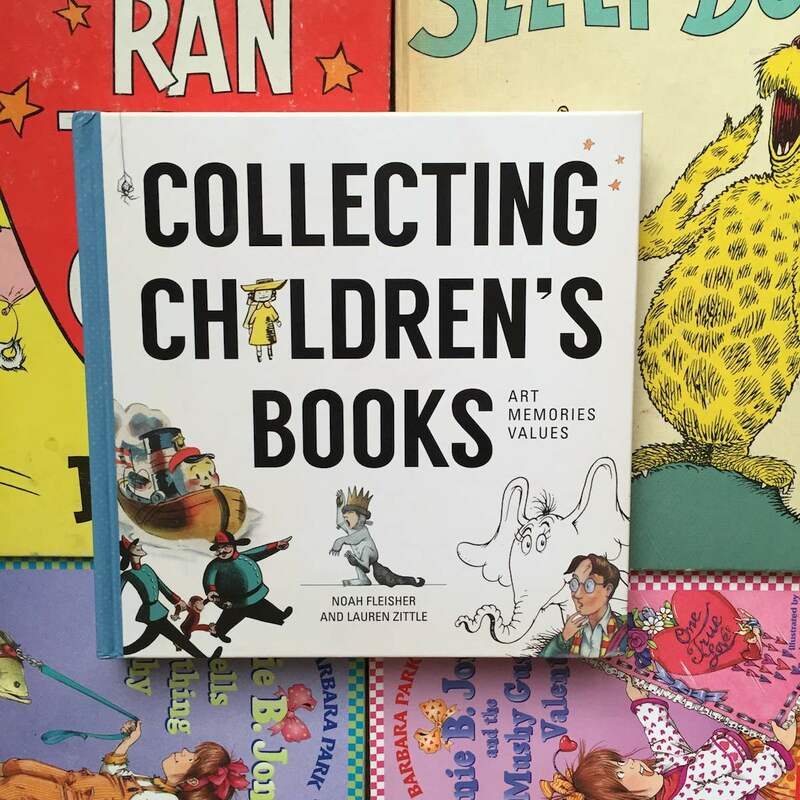 Collecting Children’s Books is as much a guide for the book collector as it is a trip down memory lane for the book reader. This 200-page collection of children’s literature chronicles timeless classics from the 1900s to present day. Besides detailed background stories and fun facts about lots of famous authors and illustrators, there are listings of the estimated auction values of many well-known novels. As I perused Collecting Children’s Books, I had a feeling of overwhelming nostalgia. I happily remembered my love of these books from my childhood – James and The Giant Peach, A Wrinkle in Time, Freaky Friday and The Phantom Tollbooth to name a few. I ran to a closet and dug out my copy of Dr. Seuss’s If I Ran The Circus to see if it was a first edition (recently sold for $400 at auction!). I fantasized about owning the original art work for Where The Wild Things Are (recently sold for $74,688!) and I learned that the illustrator of Stuart Little (Garth Williams) also did the art work for two of my favorite illustrated books, Little House On The Prairie and Charlotte’s Web. Collecting Children’s Books also shares events in history and provides solid book recommendations for young readers. It’s a great resource for adults to help children discover the joys of a good book.